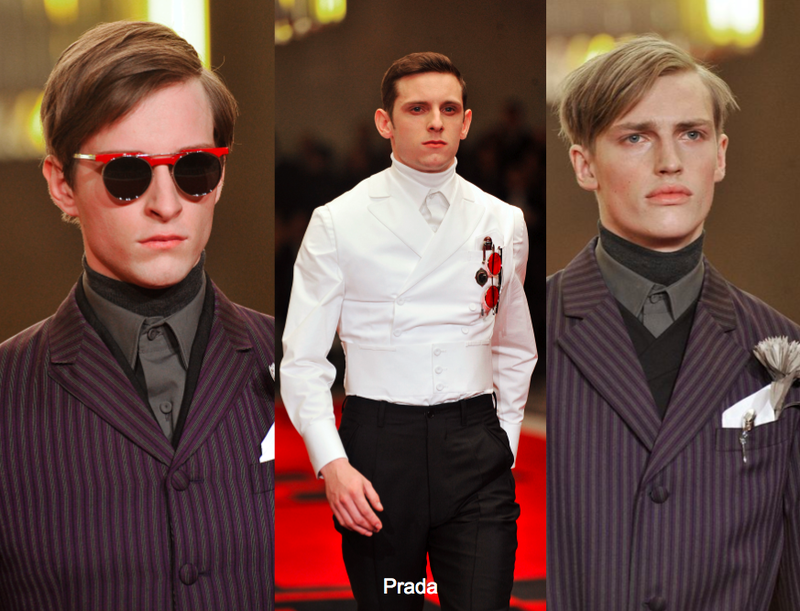 Prada is always a favored source of newness, with trends typically lasting well after they first march down the runway (see: 3 button blazer). 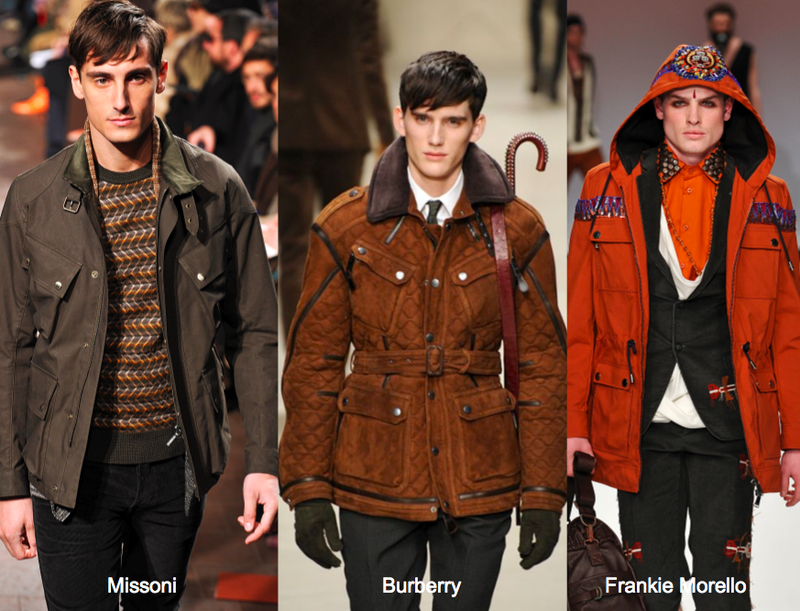 For Fall 12, it seemed that the focus shifted to collar interest. Most forward were the high Edwardian collars which consisted of at least 3 layers. 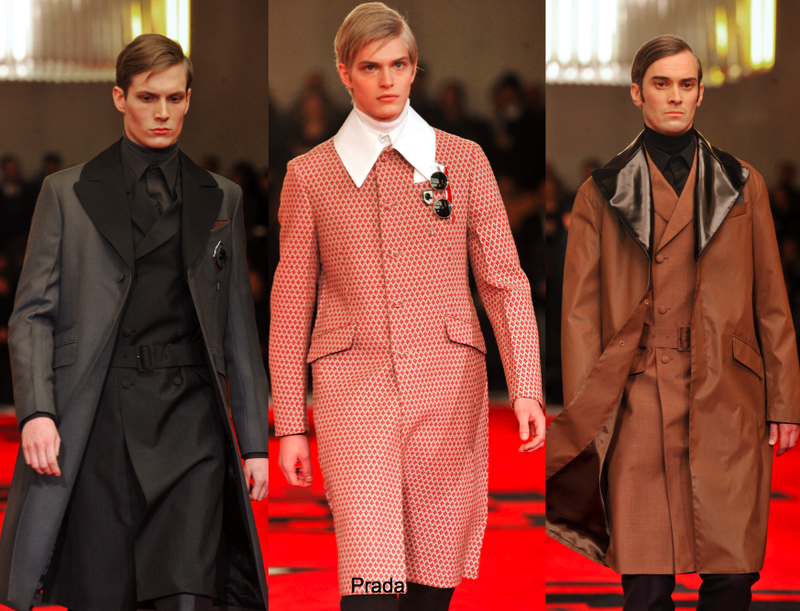 But perhaps a more easily-adapted trend came in the form of contrast oversized collars which landed on coats. 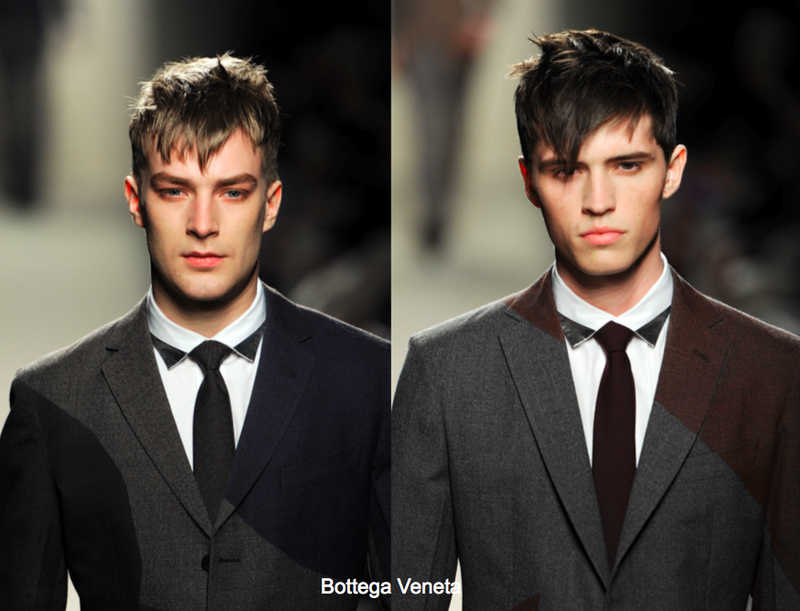 Yet another point of difference is featured at Bottega Veneta, where contrast point collars appear on woven shirts. 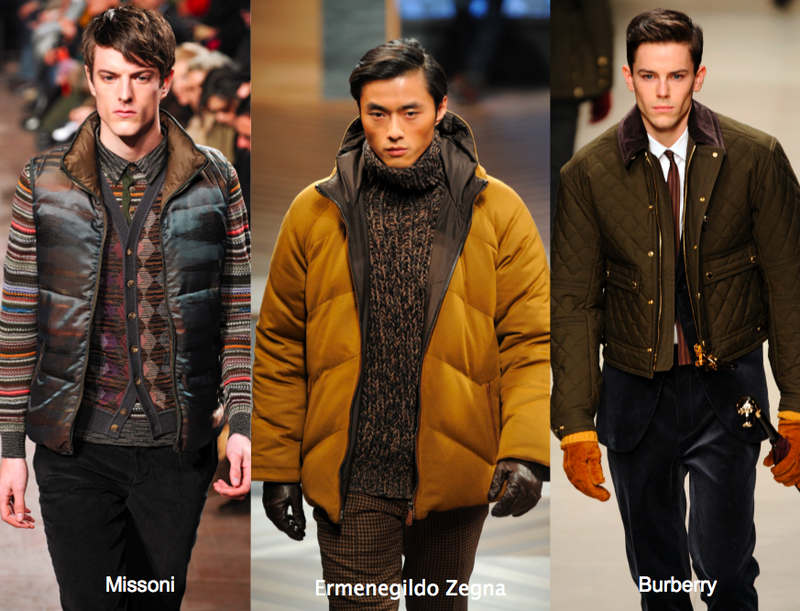 The Milan F12 menswear runways were packed with endless outerwear options. The parka, which has been a best-seller from Spring to Fall, comes out on top once again catering to the luxury market and youth centric brands. Another classic is the pea coat. 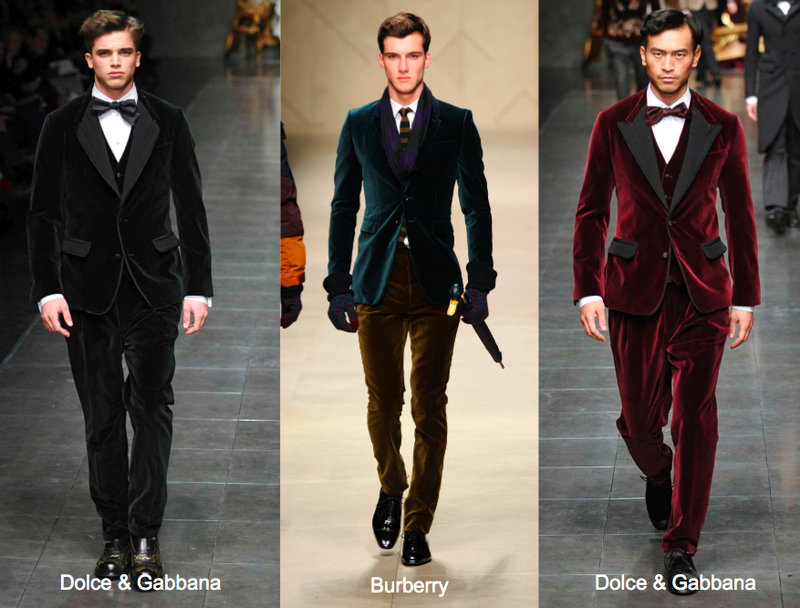 A velvet style at Gucci adds a dose of glamor. 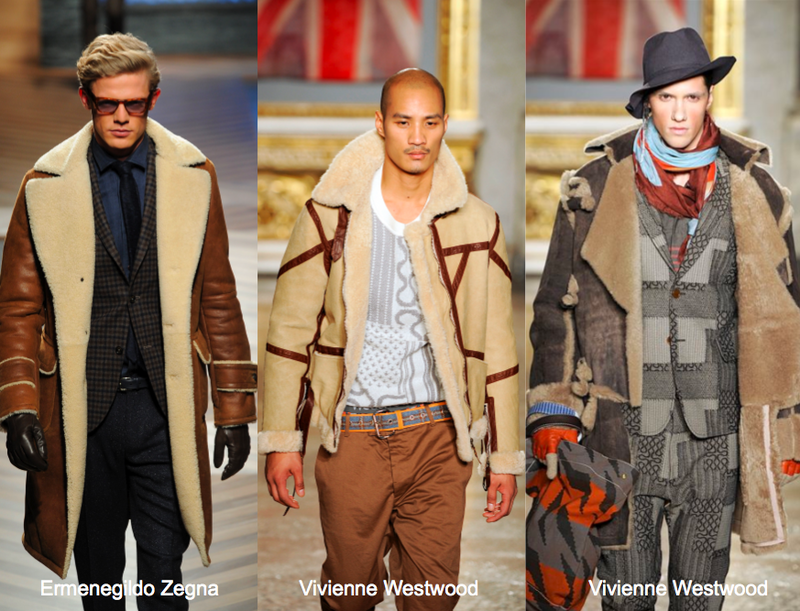 Shearling becomes a favored expression for jackets and coats alike. While puffer jackets and vests have long been a winter favorite, quilting becomes a key styling detail especially applied to outerwear. 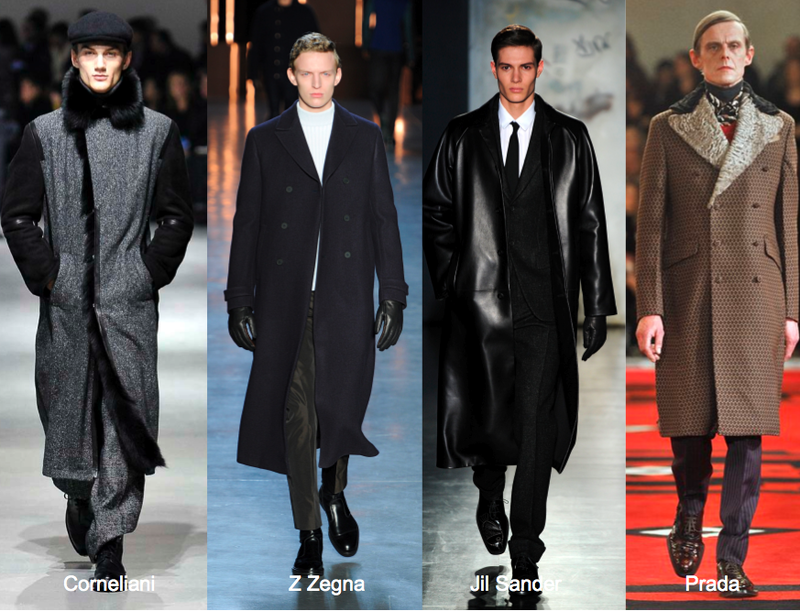 In the tailored universe, the overcoat is key, set to a variety of materials from tweeds and wools to leather. Double breasted overcoats look forward. Although TAILORING has been a big focus in Milan this week, a handful of designers feature unexpected knitwear items, such as knit pants and/or meggings. 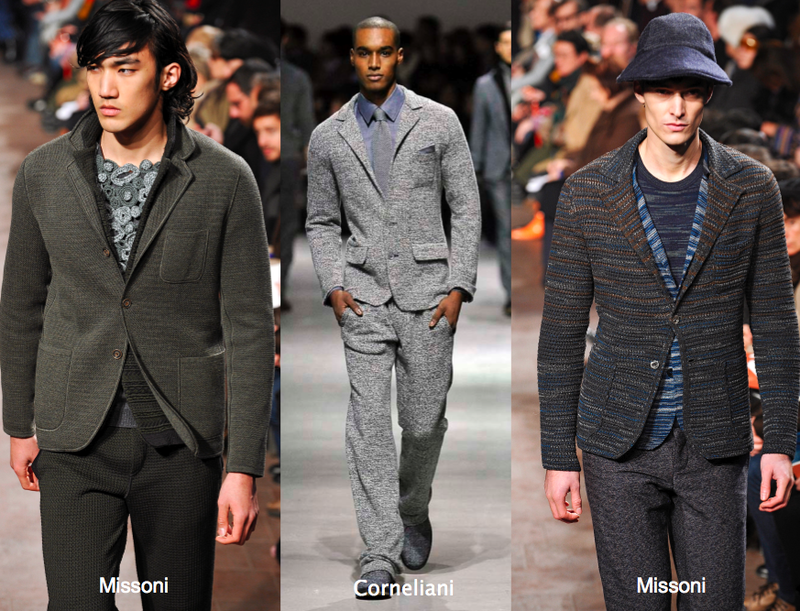 Knit blazers make for a relaxed tailored look especially at Missoni. 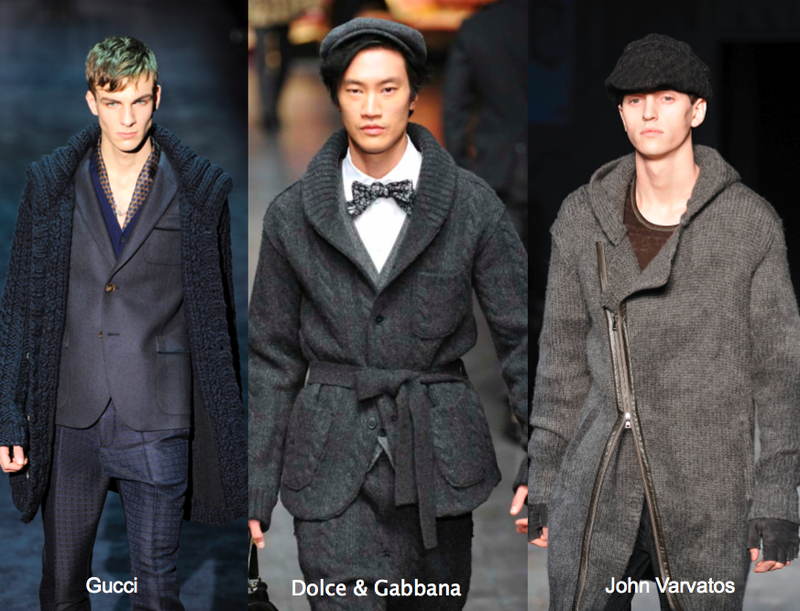 On a heavier note, sweater coats as well as the new cardi-coat (often a belted cardigan hybrid) factor in to outerwear. 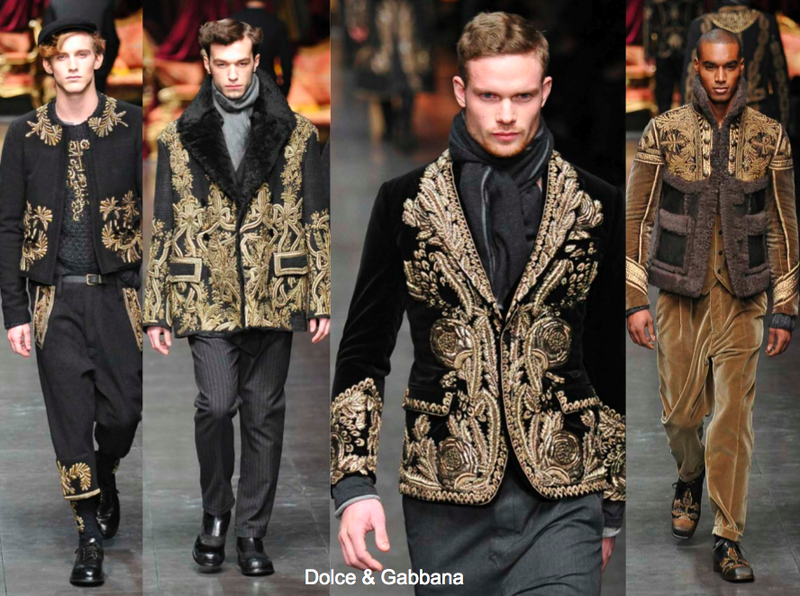 What Dolce & Gabbana had in mind for their Fall 12 collection “hymn to Italy” turned out to be a heavily utilized form of baroque embroidery inclusive of gold braiding. While the detailing appeared on virtually all items, it was perhaps best positioned alongside plush velvets. 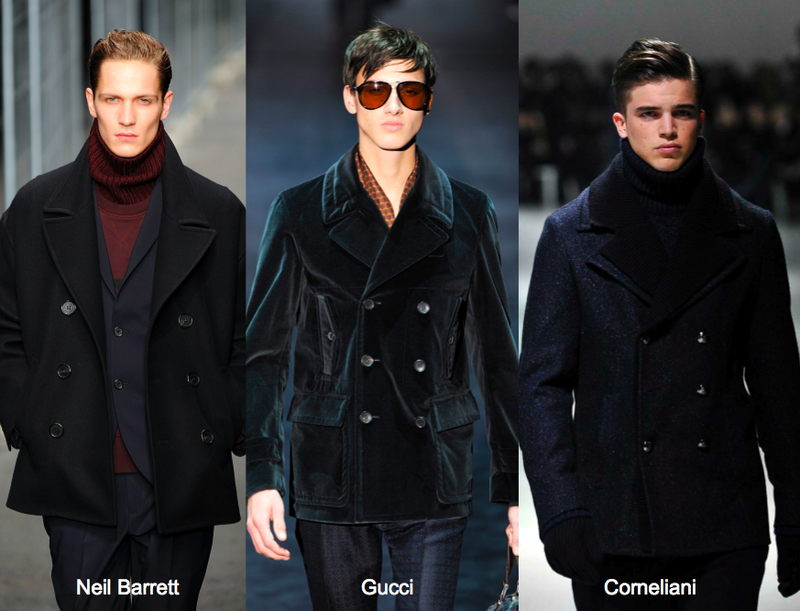 As Milan Fashion Week kicks off for Fall 12, velvet quickly rises to the top as a must-have material expression. 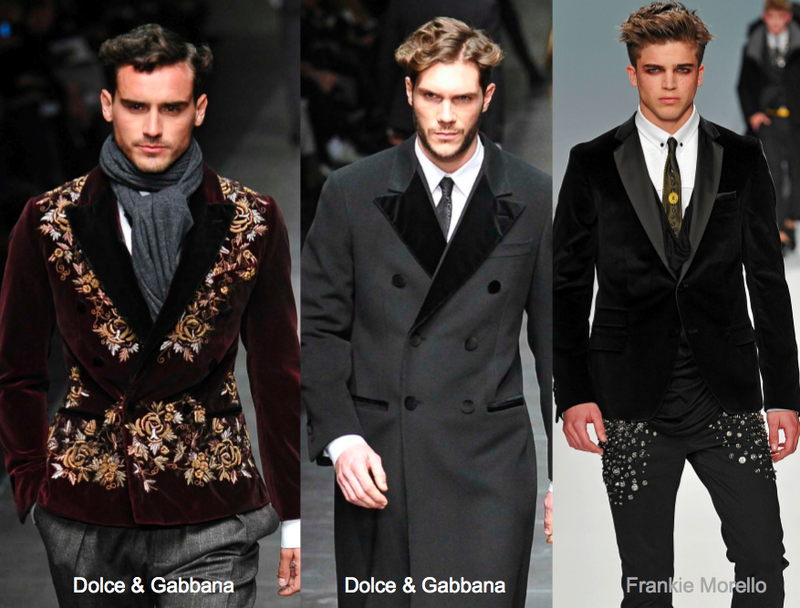 Velvet blazers, suits and pants are featured, while Dolce & Gabbana highlight velvet trim on tailored items. Drawstrings become an important detail on men’s bottoms for S12. An athletic or surf reference is evident on both pants and shorts. 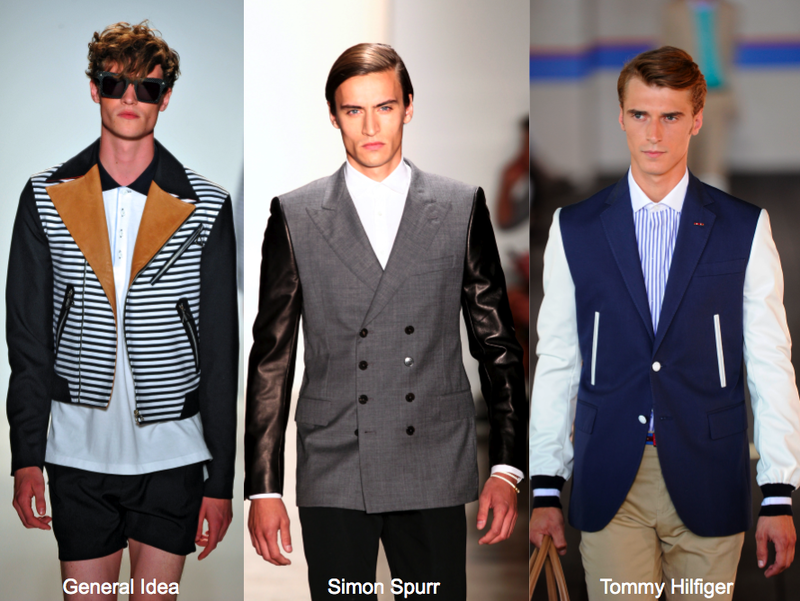 Pieced construction continues to be one of the leading details for Spring 12. 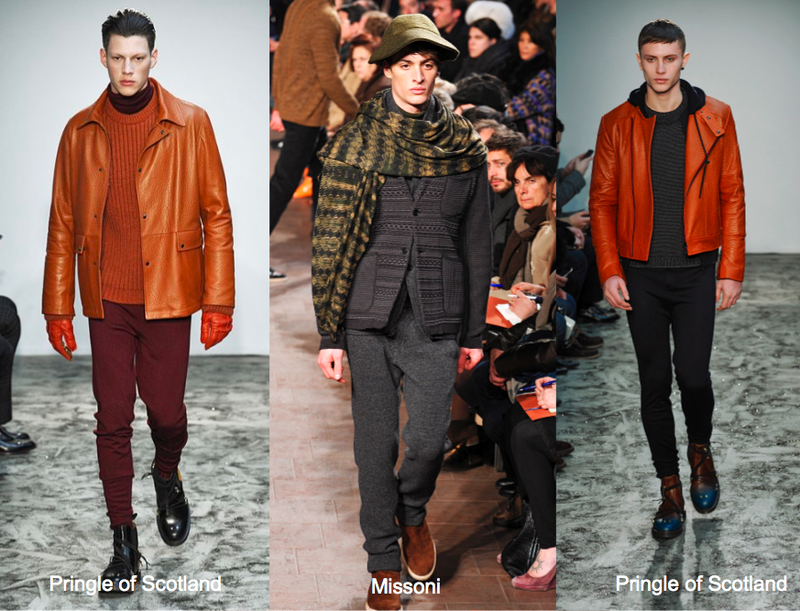 In New York, we see a number of designers follow through with contrast sleeves, especially in leather.